Metro Self Storage has been helping families and businesses find reliable, clean, and economical storage solutions for over 40 years. When you are getting ready to move, we understand it can be exciting, overwhelming, and exhausting. 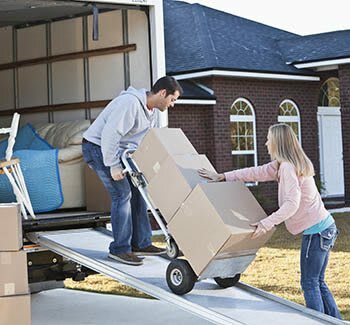 If you need to find the cheapest moving truck rental for a long distance move or to rent a trailer for a short distance move, Metro Self Storage is here for you. Know your vehicle's towing weights, which is easily located in your owner's manual. Don't forget to account for the combined weight of your vehicle, occupants, and everything on the trailer. Be sure to check with the rental company's website for additional guidelines before renting a moving trailer. Remember, the faster you drive the more fuel you use. Truck rental companies claim that you can boost miles per gallon just by slowing down a few miles per hour. It's safer too! You can also find trucks for rent with diesel engines that offer better fuel economy than gas engine trucks. Would you like to set up your moving truck rental today? Check out prices and availability of trucks and trailers in Bloomington.